Samuel Wagan Watson is an award-winning Indigenous poet and professional raconteur. Born in Brisbane in 1972, he is of Munanjali, Birri Gubba, German and Irish descent. 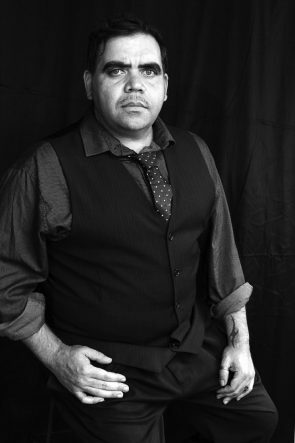 Samuel’s first collection of poems won the 1998 David Unaipon Award. His fourth collection, Smoke Encrypted Whispers, won the 2005 NSW Premier’s Award for the Book of the Year and the Kenneth Slessor poetry prize. Samuel has toured Australia extensively as a writer, has been a writer-in-residence at a number of institutions and has toured New Zealand, Germany and Norway to promote his work.